Hello! Thank you for visiting my shop. <3 Please know that this item was handmade by me on my sewing machine (not in a factory!). Most items you see are one of a kind or limited edition. I created this zipper pouch using black sweatshirt knit fabric featuring skulls, clocks, and Roman numerals. I gave the pouch a black zipper and a green lining with purple dots. Note on shipping: I recycle packaging when possible to reduce waste. 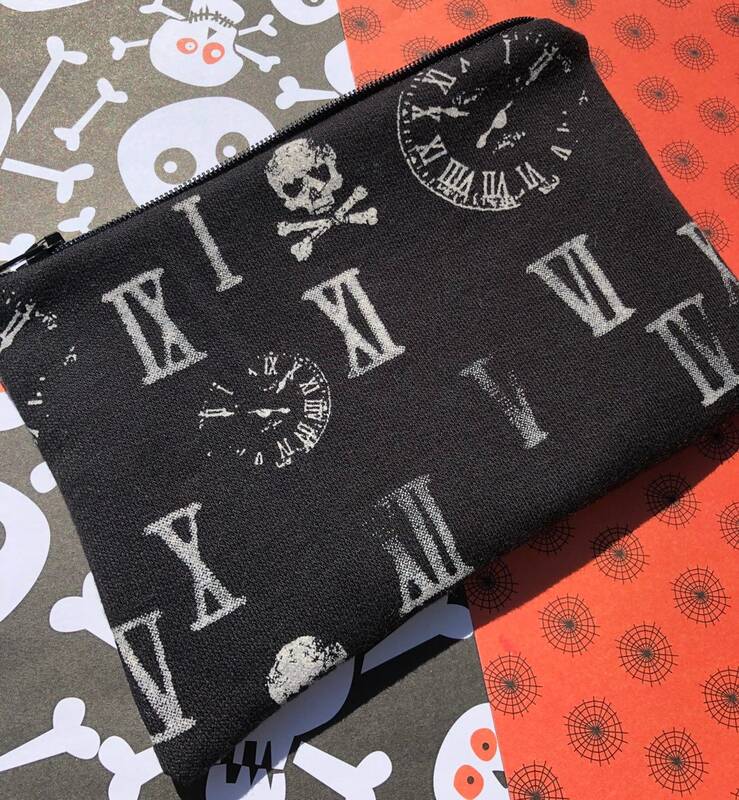 SALE Skulls, Clocks, and Roman Numerals Cosmetic Bag. Discounted. Numb Skull Zipper Pouch: Pink and Black. Lacy Skulls Zipper Pouch: Houndstooth.